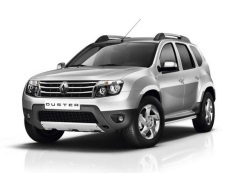 Correct Wheel Sizes, PCD, Offset, Rims and Tire specs for Renault Duster series. My Duster 110PS has done almost 42K and the tyres need replacement. Presently I have 225/60 on a 16” alloys. I am considering upgrading tyres with bigger profile on the same alloys. I am planning to put either 225/65 or 225/70 on a 16” Rim…..which one according to you is more advisable keeping safety, stability & road noice in mind. Its primarily city driving, couple of long drives on the highway but no off road as such. Pls advice keeping high speed driving in mind. Hi,Gj73,I use the tire calculator,Both 225/65 or 225/70 are not fitable.But according to your plan,205/65/16 is a better choice.Because your road condition is in city,The 205 tire have 2mm thinner,it is a good choice. Sir I want to do wheel alignment for my duster and I want to know about the specifications for caster camber and toe..pls help. I want to upgrade my duster tyre size from 215/65/R16 to 225/65/R16. Would that affect any performance of the car. Please suggest. I am interested in purchasing tyre for all whether and extreme conditions of snow. Please also suggest the tyre for the same. Hi,Varun,Can you show the current tire and wheel size of your car? 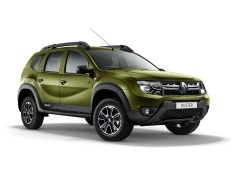 can i upgrade duster tyre to 17 inch alloys and 235/55 17 tyres ?